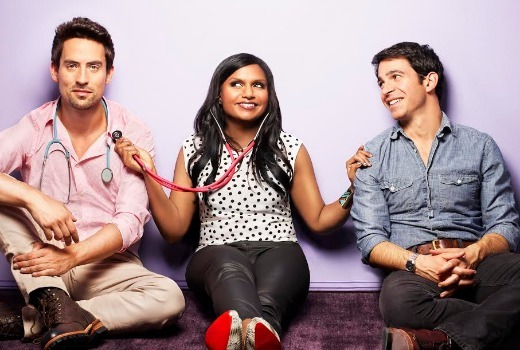 US comedy The Mindy Project, which recently returned with Season 2 on 7flix, will now have episodes premier on Presto. All 80 episodes from Seasons 1 – 4 will be available to stream from Friday. New Season 4 eps will be fast-tracked from mid-April when it ends a mid-season hiatus in the US. On 7flix S2 and S3 episodes are scheduled until April 6 but it is unclear if they will continue. The Mindy Project is a single-camera comedy series created, written by and starring Emmy®-nominated writer/producer and New York Times best-selling author, Mindy Kaling (The Office), as a skilled OB/GYN navigating the tricky waters of both her personal and professional life. Despite having a successful career, Mindy Lahiri (Kaling) is unlucky in love and desperately needs to get her personal life back on track before her friends and colleagues are forced to stage an intervention. Funny, impatient and politically incorrect, Mindy is determined to be more punctual, spend less money, lose weight and read more books – all in pursuit of becoming a well-rounded perfect woman who can meet and date the perfect guy. The series also stars Ike Barinholtz, Beth Grant, Chris Messina, Xosha Roquemore and Ed Weeks. Guest stars in the series include Seth Meyers, Ed Helms, Common, Seth Rogen, Moby, James Franco, Kris Humphries, Vanessa Bayer, Jenna Elfman, Anna Gunn, Shonda Rhimes, Vanessa Williams, Kris Jenner, Stephen Colbert, Laverne Cox, Joseph Gordon-Levitt, Laura Dern and Freida Pinto. Recurring cast members in the series include Chloë Sevigny, Mark Duplass, Jay Duplass, Rhea Perlman, Garret Dillahunt, Bill Hader, Ellie Kemper, Kevin Smith, Julia Stiles and Alison Williams. The Mindy Project is produced by 3 Arts Entertainment in association with Universal Television. The series is created and written by Mindy Kaling. Kaling, Howard Klein, Matt Warburton and Michael Spiller are executive producers.